The host was very friendly. We've got breakfast and other extras as gift. We could check out very late. Perfect vacation. The apartment was clean and modern equipped. 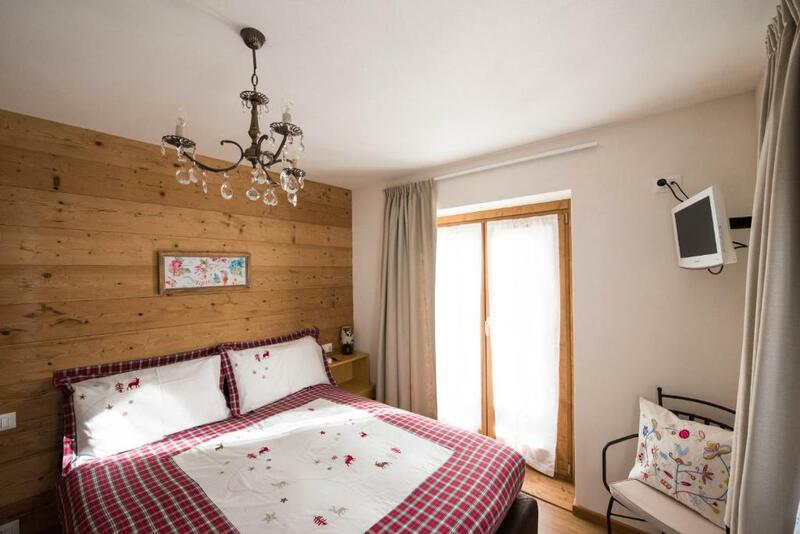 Very good location for ski lovers - 15 minutes to Bormio, 25 minutes do Santa Caterina and Livigno. Monica is very nice person. Monica's incredible hopitality and friendliness, the location, tourist info available and discounts, cleanliness of property. A very nice couple. The apartment was really nice and comfortable. The position is very good for visiting Livigno, Bormio and the nearby valleys. Isolaccia is nice village, good possibilities for cycling, hiking, jogging, even possible to do biathlon training. Hospitality of Monica (owner) was very nice. 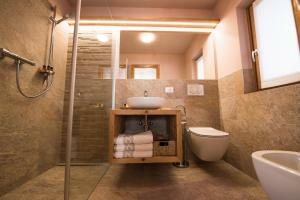 For our purposes (hiking and sports trip) Casa al Rin provided good value for money: clean, well equipped and pleasent. More shops and services can be found in Bormio which is about ten minutes away. We went for winter holidays. Good localization for Bormio ski resort. It takes 15 min by car to get there. There is a skibus as well which is probably less convinient and takes a little bit more time. We as a family still haven't acquired this particular set of skills that would make us OK to use local bus services😜. The apartment was very clean and in good standard. Great kitchen with all necessary appliances which were new and in great condition. Two bedrooms with comfortable beds and wardrobes big enough so you don't need to keep your clothes all over the place. Lovely bathroom as well. Ideal for family up to 4 people. Storage room in the garage downstairs with the washing machine and the dryer, perfect for drying off your clothes and keeping all equipment overnight. Monica the landlady was very nice and helpful. Siamo stati accolti da Monica, una persona cordiale e disponibile, ci ha fatto sentire subito a nostro agio. Abbiamo apprezzato tantissimo i prodotti tipici per la colazione che ci ha generosamente offerto come benvenuto (sorpresa inaspettata, dato che non era un servizio incluso nella nostra offerta). La struttura si trova nella frazione di Isolaccia, comune di Valdidentro, in una posizione tranquilla e strategica per visitare le bellezze della Valtellina! Bormio, Livigno e il parco nazionale dello Stelvio sono solo alcuni dei luoghi facilmente raggiungibili da questo incantevole luogo. L'appartamento, fornito di tutto il necessario, è accogliente, arredato con cura e la pulizia impeccabile! Torneremo! Bellissimo appartamento , pulito e accogliente. Proprietari molto gentili. Appartamento perfetto. Idem accoglienza.... Monica!!!!! Lock in a great price for Casa Al Rin - rated 9.8 by recent guests. One of our bestsellers in Valdidentro! Offering a communal garden with al fresco dining area, Casa Al Rin is set in Valdidentro, a 3-minute drive from the Isolaccia-Pian della Motta ski lift and 15.5 miles from Livigno. Free private parking is available on site. All units have a living area with a flat-screen TV, a kitchen equipped with an oven, refrigerator and stovetop, and a bathroom with a bath or shower and free toiletries. Towels and bed linen are available. The property includes a ski storage and a bicicle storage. Skiing, hiking and cycling can all be enjoyed nearby. Terme di Bormio is 10 minutes' drive away from Casa Al Rin. Stelvio Mountain pass is a 20 minutes' drive by car. 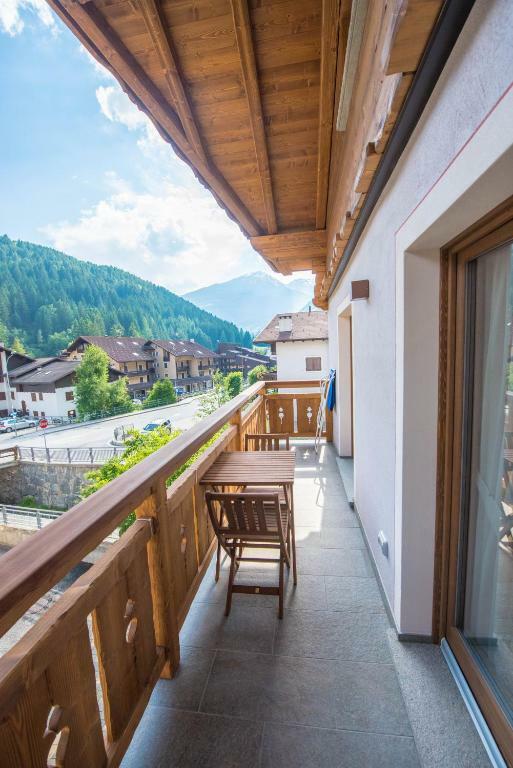 Guests enjoy discounts at various restaurants, ski schools and sports stores, as well as at the town’s Bagni Vecchi and Bagni Nuovi thermal spas. 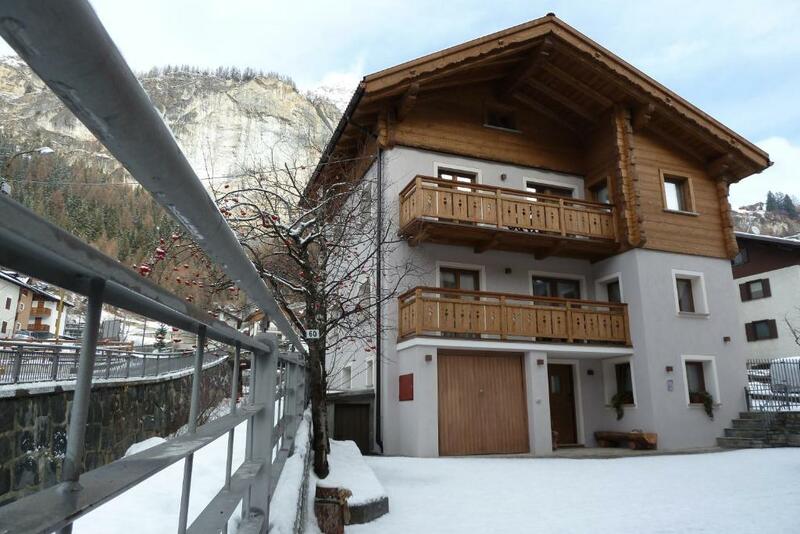 This property also has one of the best-rated locations in Valdidentro! Guests are happier about it compared to other properties in the area. 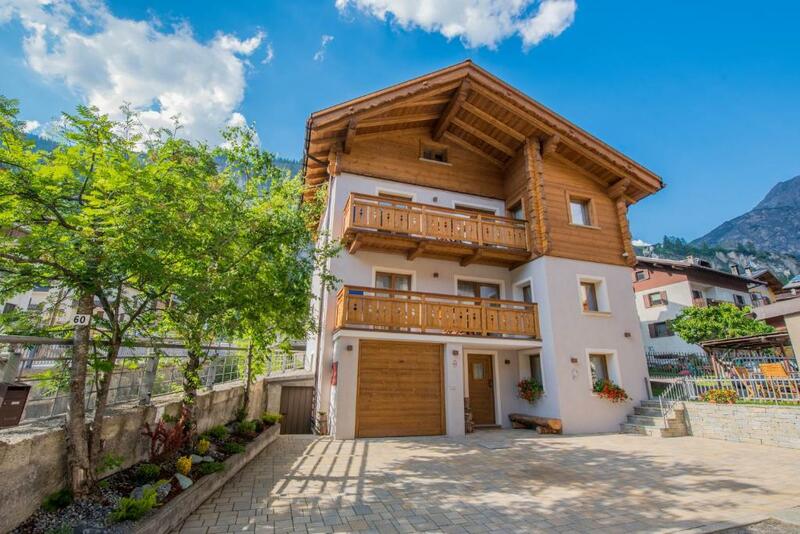 This property is also rated for the best value in Valdidentro! Guests are getting more for their money when compared to other properties in this city. 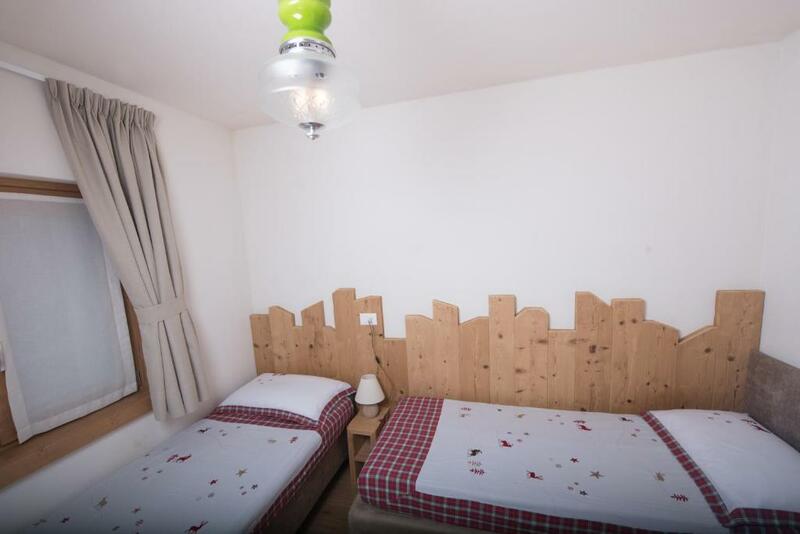 Casa Al Rin has been welcoming Booking.com guests since 9 Apr 2015. When would you like to stay at Casa Al Rin? This apartment has a garden view, private entrance and sofa. Si trova in posizione strategica per raggiungere tutte le stazioni sciistiche della zona (S. Colombano,Livigno,Bormio,S Caterina). si trova in posizione strategica per i Passi alpini della Valtellina (Stelvio,Gavia,Mortirolo,Foscagno,Forcola...) Oltre che essere meta ambita per sciatori,anche in estate, lo è per passeggiate, camminate e per i percorsi in bici. Molto vicino alle Terme di Bormio,Bagni nuovi e Bagni Vecchi dove rilassarsi e divertirsi con famiglia ed amici. 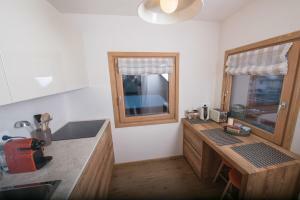 A noi piace gestire la nostra casa vacanza personalmente.. A noi piace viaggiare e quando possiamo farlo catturiamo idee per migliorare la nostra gestione..
La mia struttura si trova a 25 Km da Livigno dove ci sono piste sciistiche molto varie,snow park tra i migliori d'Europa,parco divertimento nella natura(Larix Park),vari negozi per lo shopping... Consiglio di visitare il Centro Italiano Sleddog HUSKY VILLAGE per provare un' esperienza unica tra animali e natura. Nelle vicinanze della nostra struttura potrete fare delle passeggiate ai laghi di Cancano,in Val Viola,in Val Zebrù...sia impegnative che per tutta la famiglia. A 7 km si trovano i rinomati centri termali Bagni Vecchi e Nuovi e Bormio Terme ai quali siamo convenzionati. House rules Casa Al Rin takes special requests - add in the next step! Please inform Casa Al Rin in advance of your expected arrival time. You can use the Special Requests box when booking, or contact the property directly with the contact details provided in your confirmation. That our stay wasn't longer. Great experience. Next year we will come again!